Auto Repair Shop LA is dedicated to maintaining your vehicle’s optimum performance, whether it’s an engine rebuild, or just a routine oil change. 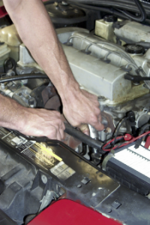 We have been providing exceptional auto repair and maintenance services in the Los Angeles area for over 19 years. We serve the entire Los Angeles area. Join our many satisfied customers who trust us to take care of their automotive service needs. Call Auto Repair Shop LA today at (323) 319-2238 to get an estimate and schedule an appointment!